Below you fill find all funeral homes and cemeteries in or near Morris Plains. Suburbs of Morris Plains: Greystone Park, Greystone Pk. Morris Plains is also known as: Morris County / Morris Plains borough. Their current mayor is Mayor June R. Uhrin. Zip codes in the city: 07950. Some of the notable people born here have been: (charley molnar), (catherine j. murphy), and (charles w. johnson (naturalist)). For other places with similar names, see Morristown, New Jersey (disambiguation).Morris Plains is a borough in Morris County, New Jersey, United States. As of the 2010 United States Census, the borough's population was 5,532, reflecting an increase of 296 (+5.7%) from the 5,236 counted in the 2000 Census, which had in turn increased by 17 (+0.3%) from the 5,219 counted in the 1990 Census.Morris Plains was incorporated as a borough by an Act of the New Jersey Legislature on March 15, 1926, from portions of Hanover Township, based on the results of a referendum held on April 15, 1926. The borough's name comes from Lewis Morris, colonial governor of New Jersey.Morris Plains serves as a bedroom community, with many residents traveling to work in New York City. The Morristown Line of New Jersey Transit provides commuters with direct access to New York Penn Station and to Hoboken Terminal.The borough has been a major base of operations for Pfizer, previously the headquarters for Warner-Lambert. Pfizer has sponsored the Health and Medical Science Academy at Morristown High School and an annual 5k race around Morris Plains. In 2012, a 63-acre (25 ha) property owned by Pfizer on the west side of Route 53 was acquired by M&M Realty Partners, which plans to redevelop the site for a mixed use development that would include 500 housing units and 100,000 square feet (9,300 m2) for retail use. It was disclosed on October 1st, 2014 that Sylvia Joyce (Barnes) died in Morris Plains, New Jersey. Ms. Joyce was 86 years old. Send flowers to express your sorrow and honor Sylvia's life. It was reported on February 19th, 2014 that Aaron Prince died in Morris Plains, New Jersey. Prince was 87 years old. Send flowers to express your sorrow and honor Aaron's life. It was written on October 6th, 2013 that Ann M Salsbury (Ogden) perished in Morris Plains, New Jersey. Ms. Salsbury was 88 years old and was born in Vischer Ferry, NY. Send flowers to express your sorrow and honor Ann M's life. It was reported on October 22nd, 2011 that Evelyn F Einhorn (Lebovitz) died in Morris Plains, New Jersey. Ms. Einhorn was 95 years old and was born in Bozrah, CT. Send flowers to share your condolences and honor Evelyn F's life. It was revealed by The Daily Journal on September 15th, 2011 that William Errickson died in Morris Plains, New Jersey. Errickson was 63 years old. Send flowers to express your sorrow and honor William's life. It was reported on August 2nd, 2011 that Louis A "Tony" Fisher perished in Morris Plains, New Jersey. Fisher was 77 years old. Send flowers to express your sympathy and honor Louis A "Tony"'s life. It was disclosed by The Daily Journal on June 15th, 2011 that Catherine M Serbeck passed away in Morris Plains, New Jersey. Serbeck was 58 years old. Send flowers to express your sympathy and honor Catherine M's life. 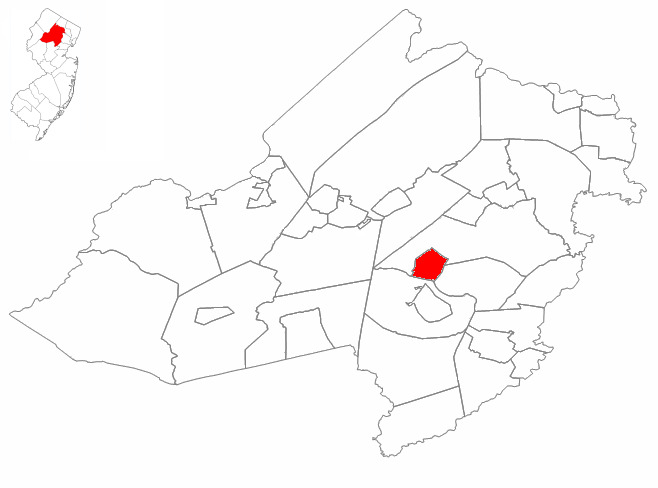 As of the United States 2000 Census, the borough population was 5,236. Morris Plains, billing itself "the Community of Caring," is a Borough (New Jersey) in Morris County, New Jersey County, New Jersey, United States. . . . The official website for the city of Morris Plains is http://www.morrisplainsboro.org/. grandchildren Caryn Siminoff and her husband, Russ of Morris Plains, NJ, Michelle Gagnon and her husband Tim of ... Arrangements by The Jewish Funeral Home, Portland. Here are the results for funeral homes in Morris Plains New Jersey. You can find some of the best funeral homes businesses serving Morris Plains. dangler funeral home in Morris Plains, NJ 07950 on Yahoo! Local Get Ratings & Reviews on dangler funeral home with Photos, Maps, Driving Directions and more. funeral home in Morris Plains, NJ 07950 on Yahoo! Local Get Ratings & Reviews on funeral home with Photos, Maps, Driving Directions and more. We work with local florists and flower shops to offer same day delivery. You will find budget sympathy flowers in Morris Plains here. Our funeral flowers are cheap in price but not in value.